Supercars spotlights Jack Le Brocq, who is controlling the Dunlop Series pointscore heading into the Wilson Security Sandown 500 this weekend, determined to defend his five-race winning streak. The Prodrive racer has his heart set on the Supercars Dunlop Series title, putting his best foot forward in every race this year as he looks toward taking a step up to the main game in 2017. Le Brocq is on the rise and his racing is evidence of hard work paying off after blitzing the field at the past two rounds in Perth and Townsville. He had a clean sweep most recently at the Castrol EDGE Townsville 400 in July, taking both ARMOR ALL Pole Positions and race wins. 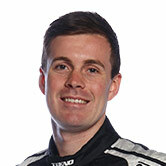 The 24-year old is racing for Prodrive Racing Australia in the Dunlop Series team this year and has also been given the opportunity to sit behind the wheel of teammate Cameron Waters' Monster Energy Ford Falcon FG X as his additional driver for the Pirtek Enduro Cup. The young gun will be balancing double duties, on a mission to defend the teams Dunlop Series title first won in 2015 and make a mark with Waters in the main game. “For me I’m feeling pretty confident about balancing both, it’s something I’ve done a lot of in the past having raced a DVS car and jumped into a GT car on the same weekend. It’s something I will be able to adapt to," Le Brocq told Supercars.com. “It will be good to work with Cam, we get along well and are pretty good mates. “We are probably in one of the best positions out of the co-drivers in the field having a Prodrive car in both series, the ergonomics in both cars are very similar." Despite Le Brocq’s recent successes, he emphasised the importance of improving each round with just 51 points seperating he and second-placed teammate Garry Jacobson. "There are still three rounds left for Dunlop Series and anything can happen," Le Brocq said. The Dunlop Series will be back on-track at the Wilson Security Sandown 500, September 16-18. The category has not raced at Sandown since 2011. “No one has run a Dunlop Series specification car there in a while so it’ll be interesting,” Le Brocq said. “I had a co-drive in Sandown last year in the Erebus car and I’ve also done a Kumho V8 round there as well, so at least I know the track. “The car has been quick this year but it’s been quite difficult to drive. Testing has been about making the car user friendly to make the race condition a little bit easier and to try reduce the mistakes we’re making. The Dunlop Young Guns segment profiles up-and-coming Supercars racers – stay tuned to Inside Supercars Tuesday nights on FOX SPORTS at 7.30pm AEST for more.